Marin Law Partners, LLP brings a unique combination of skills and experience to legal practice in Northern California. Thomas G. Velladao, Esq., CPA, MS Tax. Thomas Velladao received his Bachelor of Arts in Business Economics and in Law and Society from the University of California at Santa Barbara, in 1983. He then worked throughout the Bay Area in public accounting for more than 10 years, including approximately 6 years with Coopers & Lybrand, now Price Waterhouse Coopers, as Tax Manager in the San Francisco office. During this 10 year period, Mr. Velladao earned his Masters in Taxation from Golden Gate University. Subsequent to leaving Coopers and Lybrand, Mr. Velladao became Manager of International Tax and/or Director of Tax or Vice President of Tax for three different publicly traded companies. Mr. Velladao earned his Juris Doctor from the University of San Francisco School of Law in December 2001, and passed the California bar exam in March 2002. He has since developed his law practice, Marin Law Partners, LLP, in the fields of Wills, Trusts & Estate Planning, Probate, and Transactional & General Business Law. He has also joined in with other CPAs to form Uboldi, Heinke & Velladao, LLP. 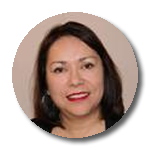 Rebecca Romero-Vigil received the Bachelor of Arts in Social Work from San Jose State University in 1983. While working full-time, Ms. Romero-Vigil earned both her Juris Doctor and LL.M. in Taxation from Golden Gate University School of Law in May 2008 and December 2009, respectively. She passed the California February 2009 Bar Exam and was sworn in on June 4, 2009. Ms. Romero-Vigil is the current 2011 Vice-President of the Napa County Women Lawyers. She is admitted to practice in the U.S. District Court of California, Northern District and the U.S. Tax Court. The firm was founded on the guiding principle that the best lawyers are the ones that combine a variety of skills, both inside and outside the law, to bring clients a special kind of representation, one that is broad in scope and focused at the same time. While it is difficult for some attorneys to see the "big picture" of their clients' interests, Marin Law Partners, LLP was founded for just that purpose. We strive to anticipate aspects of the client's case which might ordinarily require consultation with other professionals, at additional cost. The result is legal representation which is as effective in balancing the client's budget as it is in the courtroom, or on the documents. Marin Law Partners, LLP is a small firm designed to be small. We pride ourselves on personalized service and we get to know our clients. Where larger firms are impersonal and treat clients with a "cookie cutter" approach, we take a personal interest in seeing you succeed! Whether you agree to compensate the firm on an hourly, lump-sum, or contingent fee basis, we refuse to subject our clients to a pricing scheme which adds a myriad of additional costs onto the basic fee. All you'll pay is the rate you agree upon, plus our reasonable expenses. The "overhead costs" of operating the firm, including support and clerical staff, are included in our rates.